Part of what makes holidays and life events so special is the emphasis of tradition-- something that happens every holiday, birthday, anniversary, etc. One of our Christmas traditions growing up was recieving a new set of pj's on Christmas Eve! However, one year my mom changed up tradition and didn't get my brother and I a new pair as she thought we were too old, but can I just tell you we were so bummed that year-- despite receiving the things we put on our Christmas list! A tradition I have added, in addition to new pajamas, is reading a slew of different Christmas themed books up until the day of Christmas. 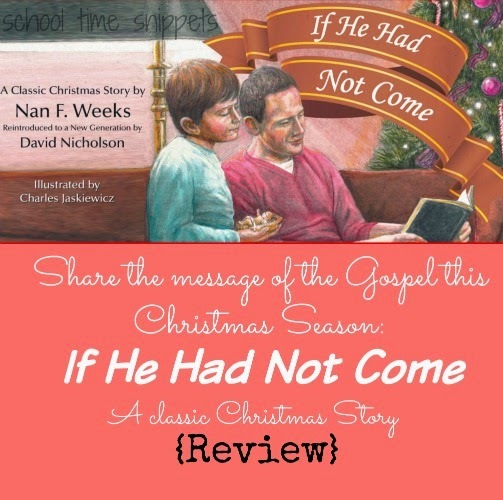 And I have a new one to share with my children this year, "If He Had Not Come" by Nan F. Weeks, and reintroduced by David Nicholson. In the Preface of the book, David Nicholson shares how upon hearing this story in a Sunday School class, the story became a tradition in his own family every Christmas. "If He Had Not Come" was originally published in the anthology Christ in the Fine Arts, by Cynthia Maus, published in 1938. With the help of beautiful illustrations, this story can now be shared for generations to come. The 8.5x11 sized hardbound book can be purchased for $18.95 or as an Ebook for $3.99. 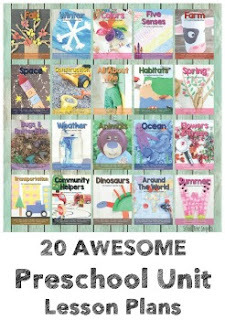 The book is 40 pages long and includes a few pages at the end of the book dedicated to interactive topics, sharing the Gospel Message of God's gift of salvation, and a simple craft idea to help you celebrate Christmas. The story begins with bright, warming colors; it is Christmas Eve and a young boy, Bobby is eager to get to bed for what is to come tomorrow morning... presents under the tree! Before bed, his father reads a verse that sticks with Bobby til he falls asleep, "If he had not come" from John 15:22. On what is supposed to be Christmas morning and throughout the rest of the book, the illustrations take on a grayish, dull tone to represent life if He had not come. Bobby wakes up to no sign of Christmas- the tree, decorations, and presents are gone. In a state of shock and confusion, and probably a bit scared, Bobby goes through town asking what is going on-- it is supposed to be Christmas! He tried to explain it was Jesus' birthday, however, everyone answers, Christmas? What's That? Being turned away several times and finding that the hospital, Children's Home, and Church no longer are where they should be and being met with signs with IF I HAD NOT COME, Bobby decides to head home. Upon returning home, he picks up the Bible that his father read from the night before to find the Gospel of John only to find the words, "If I had not come" throughout what should be the New Testament! Bobby sat down, stunned at the thought of a world without Jesus. "No Christmas, no churches," he whispered, "no places to help people who are sick, homeless, or in need..."
Talk about a powerful message in short storybook! The story was very thought provoking and I can see and understand why it left such an impression on David Nicholson, so much so that he would want to have this story republished. Although the storyline is not necessarily new, it has been shared by other people seeing what life would be like if he/she were not around or if they had chosen a different path, but never have I heard What if Jesus had not come?! I read this book to my 7 year old. The story can certainly be read to a variety of ages, but for the depth of the message, it is most appropriate for those six and up. 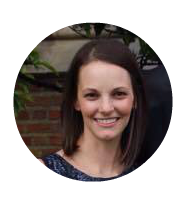 In a world that is fixated on "things," this story really spoke to my heart as I want and desire for my children to know that our God gives that greatest gift of all-- life! After I read the book with my son, I asked some of the questions that were in the back of the book, but could tell they were a bit over his head. I think this book will need to be read several more times for the truth to really sink in. "If He Had Not Come" was a very enjoyable book and one we will make part of our Christmas reading tradition for years to come! The message was simple, but full of meaning. The illustrations showed the emotion of the story; however, one page in particular was questionable. It was when Bobby was looking for the hospital and he is on a street corner with signs all around him, "IF I HAD NOT COME," broken windows in a building, a police car driving by, and a mother spanking her child- that illustration alone is quite confusing and could be read the wrong way. It just adds to the war on discipline; I think something else could have been drawn in its place to get the message across. Nonetheless, I enjoyed the message and am glad that it is one I can now share with my family! Many other Crew Members had a chance to read this Christmas story, find out what they thought! ©2011-2014 School Time Snippets. All rights reserved. You are free to link back to my website but all text, photos, and other content may not be reproduced without the written consent of the author.